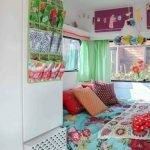 This Is The Most Amazing Pastel Pop Retro Craft Space! 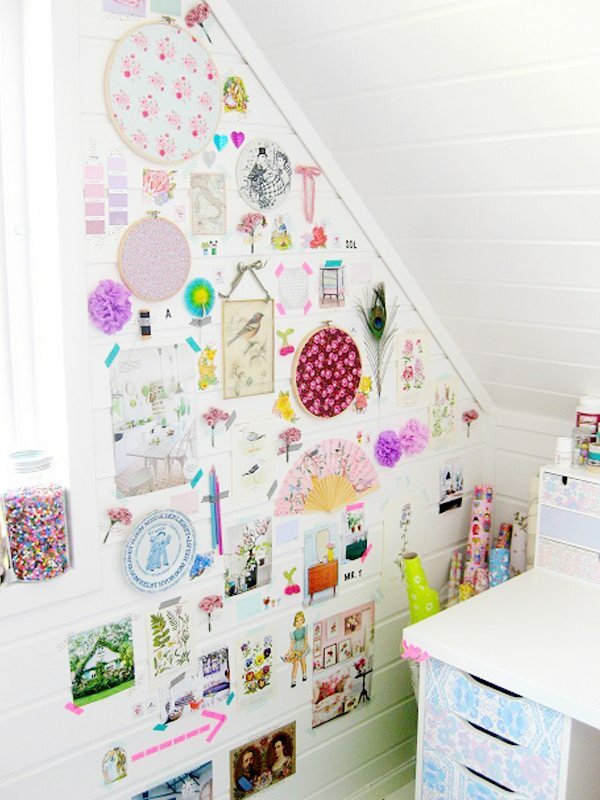 I adore everything about this craft space. 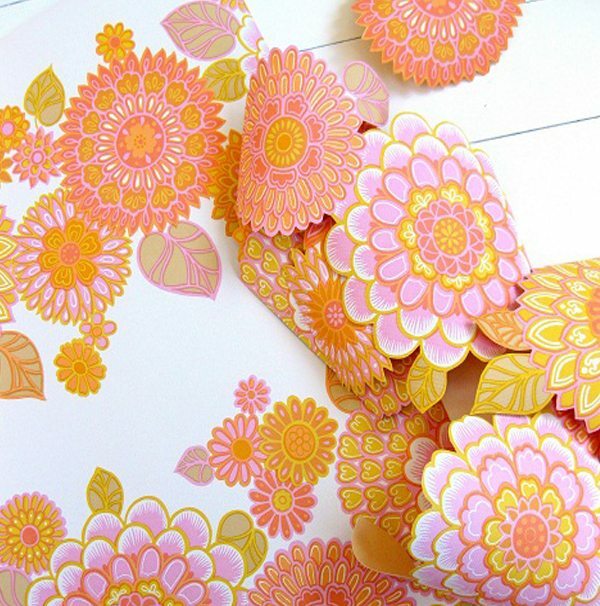 This colour combination is especially marvellous and makes my heart skip a beat every time I see more pastels . I think the teal(ish) coloured rug is by Rice DK and I absolutely love it. 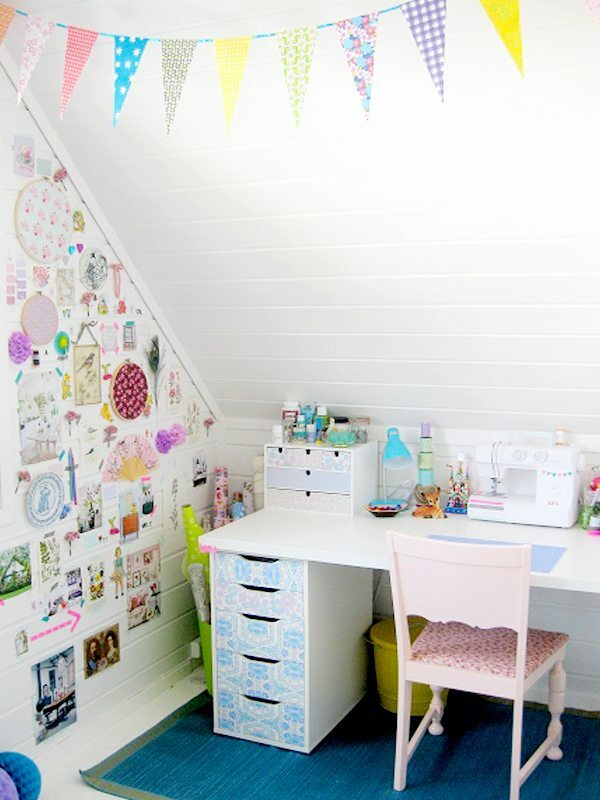 This fabulous craft room belongs to the blogger Stina Ballerina but unfortunately Stina hasn’t blogged since mid 2012 which makes me very sad indeed. 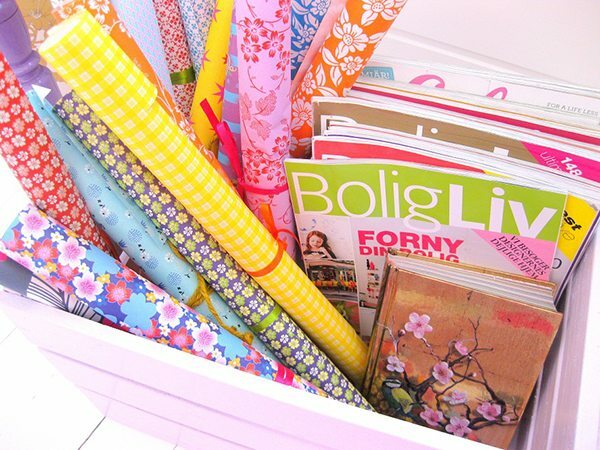 Alas, I shall still enjoy her craft room and all the gorgeous colours and patterns it provides! 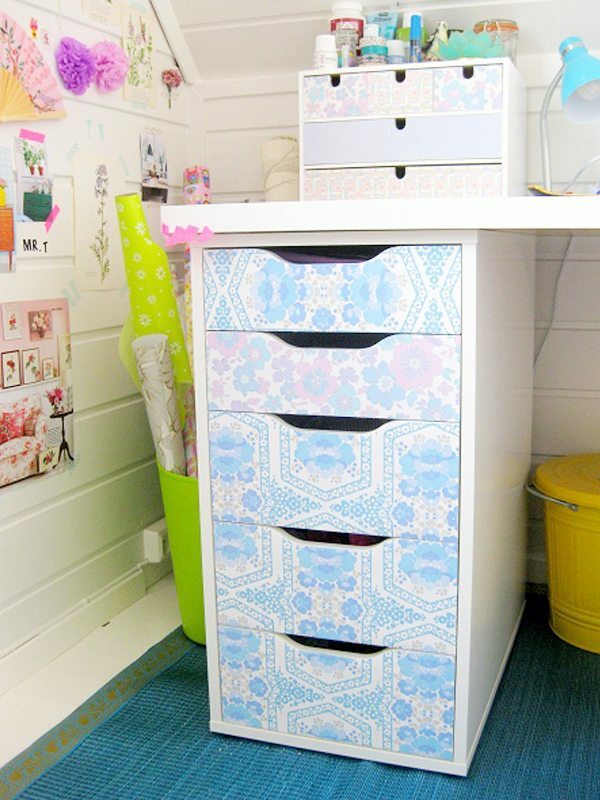 I have these Ikea Alex drawers only mine are the very tall ones, I’m going to buy some vintage wallpaper and copy this idea! I also need to change my inspiration wall. Just to freshen it up. I really wanted to find out the colour of that chair and then I remembered about the Dulux paint app that can colour match from photographs. Technology eh? So, I might end up spending a fortune on paint colour testers. Having an inspiration wall is one of the best mood lifters there is. Especially when the sun is shining. 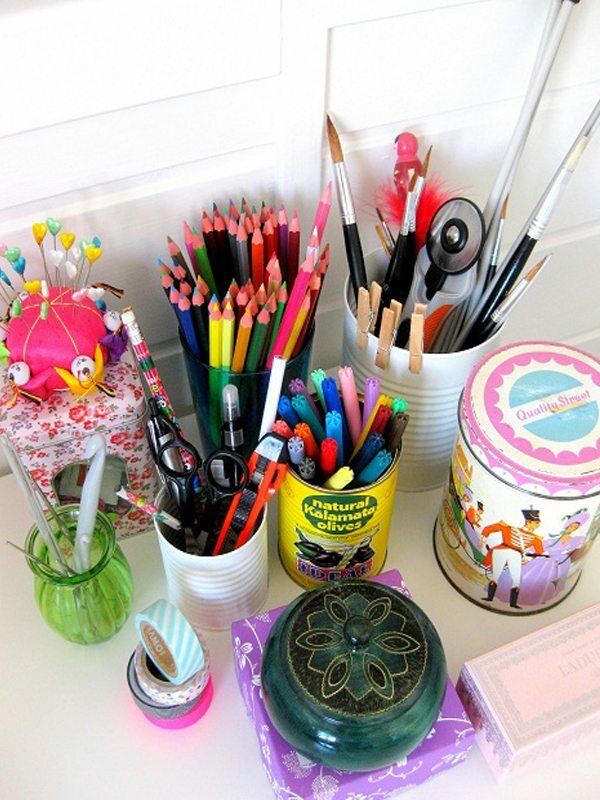 Keeping is fresh and changing the pieces regularly can be quite time-consuming; finding the inspiration from magazines and online etc, making your own items to display and choosing a theme. At the moment, the items on my wall are the items that I photographed for the ‘Handmade Happy’ butterfly wall tutorial. 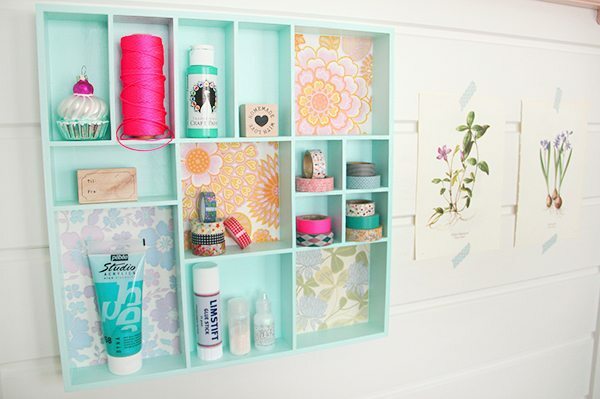 I would love to know if Stina attached the vintage wallpaper whilst building the drawers or afterwards. I wanted to paint the outside casing of my drawer unit but then couldn’t be bothered detaching the drawers; they don’t just pull out. So of course mine are still all white! I always love to have a little nosey on top of people’s desks. I’m also very jealous of that lovely pink box, I thought it was Laudre but I have bad eyesight. There’s a chance that says ‘Lad..’. I remember those Quality Street tins too! I’ve never seen a tall and slim tin though, just large and round. These wallpaper cut outs were used in a fabulous furniture make over that Stina did and you can see in the last post I did about her lovely home a few years ago. The colour of this shelf unit is just fabulous and the size is great too! I think I might have to find myself some neon pink string too. Just to have, you never know why you might need it :p actually, that is something hoarders would say isn’t it? 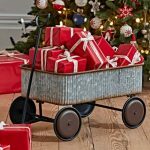 It does look fabulous and I like the arrangement of those little compartments. I’m impressed that it can store glue sticks! 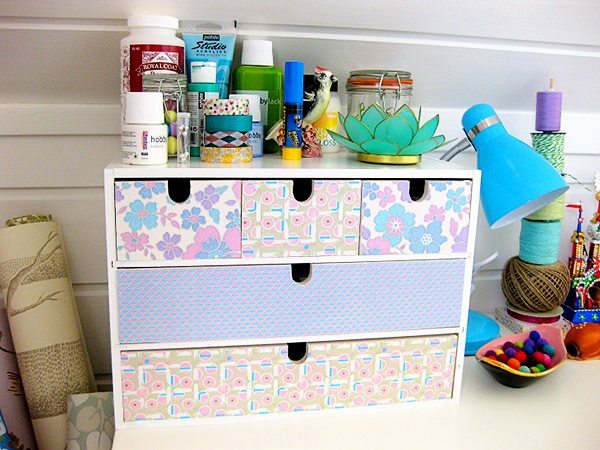 I think these drawers are from the Ikea moppe series, you can see my Ikea Moppe makeover here. ooh! 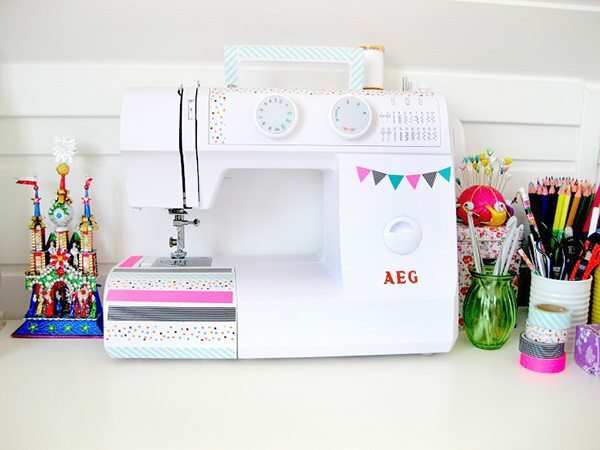 How have I never thought about covering my sewing machine with washi tape?! I must do that. And make a pretty garland from tape! I actually thought this was Anna Weinreich’s home! Then I realised that it may just be how the houses are laid out in Norway. I just LOVE the colour of this crate! I wonder if it’s spray paint. I can only find that colour in matt (which I have) perhaps I could just use a gloss spray paint over the top. Hmm! 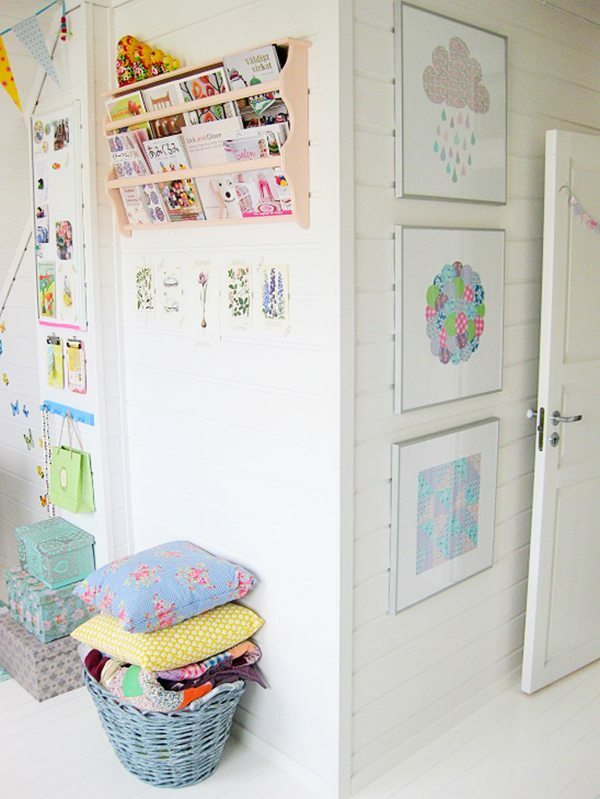 I absolutely adore everything about this craft room and home. 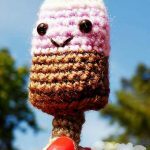 It has given me A LOT of project ideas and things I want to do in my craft room.